I couldn’t marry the geologist. When we met, our shoulders touched, but just barely; it was school bus romance, as we drove with a guided tour around the country. In Skaftafell National Park, I broke my leg, and he helped carry me down the mountain on a stretcher. “Who needs mountain rescue when you’ve got geologists?” he said, and I smiled through the pain. On the way to the hospital, I feigned sleep and listened to his body rustle in his jacket as he turned to look at me, to look down at my shoulder against his own—as he would if he were turning over in bed to see me, my face glossed with a film of sleep instead of one of hurt as my body’s natural pain killers wore off, the endorphins draining like the glaciers we had come to see. Even through the cracked ache, I was charmed, as he didn’t move away. I opened my eyes to see his hands in his lap—taking care to stay still, not to shuffle the broken girl around. Skin flaked from his knuckles—they were cold, chapped, eroding. I had felt the same, and so had decided on a vacation someplace exotic. Now, and perhaps this was the broken bone’s opinion, it seemed more foolish. What business did I have there, other than a desire for eccentricity? Or, more simply, bragging rights. In undergrad, I hadn’t once gotten an MIP, and so badly wanted adventure. He was a geologist, there to walk the mid-Atlantic ridge. Even so, he was a poor one, and his love for the natural world wouldn’t pay back his student loans any more than the books I read, my literary heroes, would write me a check. Still, we were young, and felt entitled to an uncapped trip to an expensive country, though each of us was drained from all those years of school, of grad school, of degrees that didn’t capitalize. Mine, a certificate of accomplishment in the liberal arts. They might as well have given me a gold star. Andrew, at least, was a more legitimate human being: he could tell me about columnar basalt, about magma plumes and the Ring of Fire. Out of principle, he dodged the recruiters from the oil companies, declined the love affair they proposed. He said he planned to separate from the tour early to backpack, but at the first campsite after the hospital he set up his tent next to mine and stayed there. “Someone has to look out for the gimp,” he said, as though we had always known each other, as though we had cooled together from lava, columns right next to each other. We were hexagonal: we fit in the most energy efficient of ways. I had intended the story to be funny—quirky, some common ground we could stand on, looking and laughing over the Midwest from somewhere higher up—and was startled that in his mind, and suddenly, I had turned to an animal with spawn to protect. I thought we could build a vocabulary together, words to make fun of our home while still, secretly, longing for it. But he wasn’t much for nostalgia, and he called me out on my own. “I can tell you still miss it. Michigan,” he said, even though I had tried to be as disdainful as he was. He spoke fondly of perching in trees for eight hours, waiting to pull back his bow and pierce the throat of a deer. He laughed when he told me how he once almost shot his grandfather, and yet he didn’t miss these things, as I missed my strange neighborhood, its mission to control the goose population. I couldn’t explain it to him, the way I found feeling in everything, but he would see it for himself, later, when I pointed to the mist from Goðafoss and told him the rush of the water water reminded me of heavy traffic. Once I said it, I regretted it—not because he laughed but because he didn’t say anything, because I knew then that we hadn’t come from the same place. I told him my leg hurt, and hobbled back to the bus. To crutch: a verb we used. We laughed as I crutched along, and it made me hopeful that we could erase the cooling we both started to feel—the same kind I always felt when I let myself fall in love with strangers, the pale dampness after the glow wears off. I followed him to the edge of mountains, into the moss growing over lava fields. “You don’t see moss by the ocean because the sand is too corrosive for anything to grow,” he told me, and I nodded along. I found a guide and a lover in one, and we began to ignore the voice of the driver who pointed out the things we’d already read about. The man behind the wheel of our big green bus said to call him Didi. Our flimsy American lips couldn’t form his real name, couldn’t even imagine it. If I hadn’t followed Andrew, Didi would have left him behind more than once when we split off to see things inside out, upside down. But Didi felt sorry for my broken bone, and let the other cold tourists sit in their seats, out of the wind, until we came back. I was slow; I rarely made it as far as Andrew, and could never climb to the tops of things. Couldn’t even start. In Djupivogur, on the country’s eastern edge, we pitched only Andrew’s tent. The ten other people whispered, and it made me think of high school once more, and I felt safe. They had bonded, those strangers: they were already exchanging e-mail addresses and phone numbers, throwing around the names of families and friends. They likely thought us snobs, although I smiled gratefully whenever someone offered to carry my jacket or hold the door. When they talked in the night’s constant light, I sat to the side with Andrew: I had aligned myself with a solitary being, one who had come only for the rocks. We touched each other awkwardly, negotiating the cast and the broken bone. When I cried out—a bent knee into my own, or a shift of his weight—he backed away from me. “This was a bad idea,” he said, and it was, but I felt rejected all the same—rejected this time by my own body, my own limbs. I climbed out of the tent and surveyed the small fishing village, the swing sets that waited in the breeze for their children. The boats were in the harbor; the people in their homes. It was the sort of place where I would want to grow up and grow old. Back in the tent, Andrew slept across the whole of its canvas floor. Alone, I couldn’t set up my own, so I sat and watched my breath until morning. I thought about an old man at a museum in Skógar; he told us about weaving wool into yarn, in the winter, in the dark, in the cold. “There is no light, only feeling,” he said. I loved the thick way he used English with us, as though he spoke into bread. He came from a different era, from a time when winter lasted longer and the moon took up the whole sky. When the world was less dusty. He combed the wool out for us; he closed his eyes. On the bus, I used a blue permanent marker to chart the route we’d followed: east, up around the ring road and into the highlands, where the bus clamored over rocks and rivers, as though we were on a ship in heavy waves. Andrew watched my marker line the roads. “You like to know where you’re going,” he said as I drew a circle around Djupivogur. I could concentrate despite the rocky road, but his voice shook me, and the pen smeared. Then he put his hand on my shoulder and said, “Next time.” The combination made me want to smile myself to sleep. I watched from the bus as the group disappeared over the hill. I could see the fog and the storm start to descend from the sky; the whole world turned into a ghost. I could feel the ache in my own legs—the snow like quicksand, the headwind billowing my clothes. It would be my heartbeat, not my feet, that would keep me going in a place like that. I laughed about his Swiss girls; his stories edged along the seats, waiting empty for the warm wet bodies to return to the world of the living. I imagined the edges of the crater the pink of organs –a collapsed lung, it just breathed a little too deeply one day and settled into itself. During all the years before or since, I have never slept well in cars, on trains or planes or buses. But, those weeks in Iceland, the rocking of the road lulled me to a light sleep, where I fell into dreams I was unable to pull myself out of, to reach back into to the bus where geologists talked about rhyolite and tourists talked about waterfalls. I woke up one degree from the Arctic Circle, in Akureyri, a city made of ice, or glass, or both. The bricks fit together like crowded teeth and, Didi told us, breath used to freeze on pillows during the winter nights—the expulsion of dreams, crystals that fell through the bed, the floor. “Magical,” I said, and Andrew laughed. Really, what meaning had it ever had? None, certainly, I used it as one used greetings. But I opted not to say anything. My crutches, accustomed to gravel or sand or snow, squeaked along the solid pavement. Andrew carried my bag. He put his hand to my back and told me he was leaving the tour. He looked at me as though I had a decision to make, as though my head were bent over in contemplation instead of exhaustion from the uphill trek to Akureyri’s botanical gardens. There was organization there—signs and paths and bridges over streams, an iron gate in front and color coordination. “It’s a paid ride back to Reykjavik,” I said, gesturing south as though I could point the city out on the horizon. “I’ve got enough money left to rent a car for a few days,” he said. He shrugged. “I can always call my parents.” That surprised me. I thought he had established independence, or something like it. But it seemed so simple—the parents, in their forever homes in the Midwest, the ones we never really left. Who would, every time, fly you back. “Gas is almost two dollars a liter,” I said, and he nodded. I closed my eyes and thought about the Canada geese. Had I dreamed the scene I told so often? I felt like a fool in a bar, telling a loud and elaborate story, only to have the quiet friend in the corner say one thing that knocks you from your cliff of alcohol and lies. I was embarrassed. I’d thought of it so many times, our heroic bike rides around the neighborhood. It was my tale of what it was like to grow up in America, and I felt somehow invalidated. My friends at home were all English majors, and, like me, knew nothing of the stubbornness of nesting geese. In my mind, our wheels parted tracks in the soft grass when we veered from the road and plowed through the yards. The excitement when we found a nest, the way it was contagious. We split up—half of us scared away the parents, like the big bullies I imagined we were, while the other half grabbed the eggs and shook them, then placed them back where they had been before so the geese wouldn’t lay more. They would think their young lived on, safe in their shells. We thought we were clever; we thought we had fooled even Nature. Four, sometimes five of us each trip. (If I doubled this, would Andrew believe it? Ten, twelve children, a swarm?) We abandoned our bikes across the grass the way only children on a mission can: corpses in a battlefield, their wheels bent like broken limbs, their handlebars stuck into the grass. We whispered, even, but who was there to hear? Stealth: I wanted stealth in this memory. Across the pond, our homes glowed, breathed their ventilation and cooking and good housekeeping. Their unlocked midwestern doors beckoned their children. Homework and dinner waited; toothbrushes and soft blankets. I tried to remove the layers of what I more and more worried was a lie, but, as when a neuron is stripped of its myelin sheath, I felt confused, a little electrocuted. Perhaps these geese were subdued—years of naughty children, coming too close—and we’d managed to grab an egg before running, frightened, away. Or maybe we hadn’t ever come close. He whistled, something I’d never heard him do. “Here comes the sun,” he sang, as he moved toward the bed. The alcohol came in friendly waves off his skin—in his breath, in his blood—and I kissed him when he sat down, just to taste it. He picked my passport up from the nightstand and opened it, looking over the numbers and facts of my life. He said, “You didn’t tell me yesterday was your birthday. I would have made you Icelandic pancakes.” He laughed, spun my passport like a Frisbee to the floor. I watched as he pulled out his pocketknife and flipped the blade open and shut, open and shut. “Let’s take this thing off,” he said, and it took me—the sober, sleepy one—a moment to realize he meant my cast. “Stop it,” I said. I tried to shove his hand away, but the knife cut my palm. He was smiling; there was a thin slit, like a coin slot, in the plaster. I pushed my hand into his face, my blood on his lips. He stopped. “I was only trying to help,” he said, flinging his knife to the floor; it landed next to my passport, although perhaps he had been aiming for it. From television and a social psychology professor, I’d developed a fear of drunken men. Andrew was only buzzed, flirtatious, but my imagination doubled, tripled his two or three beers. But at ten dollars apiece, I doubted he could have afforded more. “I don’t see you packing.” He took both pillows from the bed, and put them behind his neck. “I’m out of money.” This wasn’t quite true, but it seemed like the right thing to say, the contrary thing. A response was what I wanted. Something in the way he said it offended me deeply, because I knew he thought me one of them, just another girl from home that he happened to find outside of it. I stumbled from the bed, reaching after my fallen crutches. I went into the bathroom and locked the door, something all the women I’d known in my life had done at least once before. (My mother, roommates, an aunt.) I waited until I heard his snores. How do you find the vocabulary of loss when you never quite spoke the same language at all? I went back to the motel in the morning, after slipping out to crutch along until I grew tired, and Andrew was still there, asleep in the bed. I couldn’t tell at first; he’d drawn the blackout curtains. The Midnight sun still shone, night and day, though a few weeks had passed since the solstice and with the late hours came a hint of dusk, as though the day yawned suddenly. “Andrew,” I said. I opened the shades and started to pack my bag. He watched me from the bed. “We have to go home,” I continued. He covered his eyes with his face. “Where’s home for you?” he said finally, and I realized I’d told him I was from Michigan, too, but never where, assuming it didn’t matter, not really. He smiled a little—scoffing, I knew. It wasn’t because he loved me—maybe he did, in some small, odd way, but love was not the thing that governed him. It was only because I couldn’t do it myself. I was wrong about him; he had to be a little like me, smart but a fool, to fall for a stranger with a broken leg, to get drunk and propose, in perhaps not so many words, to her. Didn’t erosion make him sad? Carbon dating takes us back 40,000 years; we can map out a landslide that happened before recorded history. I wish I could have done that to him—given him a fluid and let it sink into his lungs, his blood, his muscle, let it tell me his past, where he’d been and where he might have gone next. I was tired and quiet, and I’d managed to get a first class ticket: the front row of the plane was the only place my leg would fit. The Icelandair stewardess, in her adorable hat, had taken my crutches. I hoped she wouldn’t lose them. Over my sleeping neighbor’s shoulder, I looked out the window, where the lights of Boston looked like a sneeze, or the settling of dandelion seeds, or one because of the other. It was dark. Finally, it was dark. Maybe I was wrong about myself, not about him. “There is no light, only feeling.” Maybe I needed both. In Iceland, I had handfuls of light. I could have filled jars with it, kept it for winter. But I wanted something simple, something American. I wanted it to be light in the day and dark at night—seasons and soft wind, breath that never froze. It took me years to carve down the story of the geologist, to turn it into something knowable, break off its consonants like rocks, like the way the word Reykjavik broke my heart with its edges. I needed more of something. On the plane, I knew that, later on, it would stop being special. It had happened someplace strange, yes, somewhere that impressed people, but it was nothing more than one of life’s missed connections. It was just a simple love story, after all. It hadn’t ever been anything else. 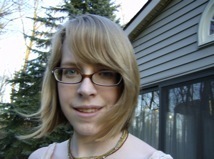 Megan Cummins is currently completing undergraduate degrees in creative writing and French at the University of Michigan. Her poetry has appeared in Hanging Loose and the Albion Review. This is her first published story. She lives in Ann Arbor.